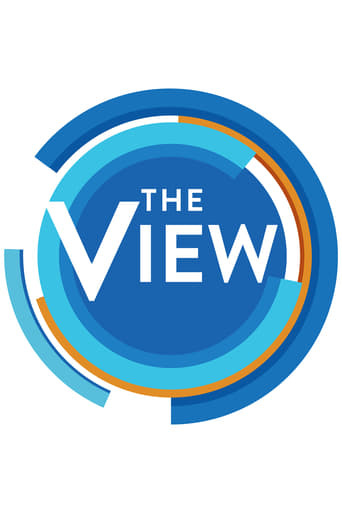 The View kicks off ""Gift Week"";today the hottest toys! Collins is appearing on ""Guiding Light"" seen weekdays on CBS @ 3pm/check local listings and is the author of ""Star Quality""! The two remaning survivors of TLC speak candidly during ""Star's Heart To Heart""! Also, how to prepare the best everyday food with Sara Moulton. Radcliffe, Watson and Grint star in the new movie, ""Harry Potter and the Chamber of Secrets""! Plus holiday parties with David Tutera and Penny pinching! Judge Judy is the host of her own show ""Judge Judy"", check local listings for airtimes! Crichton is aurthor of ""Prey"" now in stores. Carter's new album is ""Now or Never"" now in stores everywhere! D'Onofrio stars in ""Law and Order:Crimal Intent"", which airs on NBC, Sunday's @ 9pm! Henner's new recipe book is called ""Healthy Holidays""! Gertz's stars in the CBS comedy, ""Still Standing"" airing on Monday's @ 9:30pm! Lee and Lewis-Lee are authors of ""Please Baby Please""! The best and worst of ""Trading Places"" with Smith and Wilson! ""Trading Places"" airs on TLC weekdays @ 4pm and on Saturday's @ 9pm! Wilson is producer of the hit movie ""My Big Fat Greek Wedding""! Hennessy stars in NBC's ""Crossing Jordan"" airing on Monday's @ 10pm! Matthews is host of MSNBC's ""Hardball"" airing weekdays @ 9pm! Vardalos is the star of the hit movie, ""My Big Fat Greek Wedding""! Plus, signs of teen depression! Lopez is the star of the new movie, ""Maid in Manhattan""! Thomas co-stars in ""Gangs of New York""! Also, male make-overs! Povich's talkshow ""Maury"" airs daily. Check local listings. DePaiva stars on ABC's ""One Life To Live"" airing weekdays at 2pm! ""The View On Crime"" examines the details of the Louisiana serial killer. And, ""Joy To The World""! Sagal stars on ABC's ""8 Simple Rules..."" airing on Tuesday's @ 8pm! Plus, how to know if a child is really sick. Ingraham is the auther of ""The Hilary Trap""! Sawyer is anchor of ABC's ""Primetime Thursday(airing Thursday's @ 10pm) and ""Good Morning America""(airing weekdays @ 7am)! And, recreating dresses for less from the Golden Globes! Travis stars in ""Becker"" airing on CBS, Sunday's @ 8:30(New Time Slot to debut in February)! Daniels stars in the new movie, ""The Hours"" which is now playing. Ulrich stars in the new ABC series ""Miracles"" airing Monday's @ 10pm! Plus, viewers vote amongst 25 finalist in the nationwide GAF model search. Fishburne stars in the new movie ""Biker Boys""! How to get the most expensive furniture for pennies! Stiller stars in ""The King Of Queens"" airing on CBS, Monday's @ 8pm! Dyson is author of ""Why I Love Black Women"". Plus, things you need to know before you purchase a cell phone. Grammer stars on NBC's ""Fraiser"", airing Tuesday's @ 9pm. All My Children's Rebecca Budig, One Life To Live's Linda Dano and Kassie DePaiva helped kick off ABC's ""Fan February"" today! The entire show is devoted to the fans! Fleiss is author of ""Pandering""! Philbin is host of ""Live With Regis and Kelly""! Manheim stars in ""The Practice"" airing on ABC, Monday's @ 9pm. Probst is host of CBS' ""Survivor"" , airing Thursday's @ 8pm. Roker can be seen daily on NBC's ""Today Show"" airing @ 7am. Dicussion on ""My Life Is A Sitcom""! Hart is host of ""Entertainment Tonight""! Brenneman stars on CBS' ""Judging Amy"" airing Tuesday's @ 10pm. Oscar nominations! Broderick, Shannon & Chenoweth star in the ABC movie ""Merideth Wilson's 'The Music Man'"" airing Sunday @ 7pm! The last piece of The View set is removed! The new set will debut on March 7! Remini stars on CBS' ""The King Of Queens""(Mondays @ 8pm). Leno stars on NBC's ""The Late Show""(Weeknights @ 11:35pm). Marriott can be seen in the season finale of FOX's ""Joe Millionaire(Mondays @ 9pm). Belushi and Smith costar on ABC's ""according To Jim""(Tuesdays @ 8:30pm). Plus, celebrity homes! Today's show is ""Royalty Day"". Latifah stars in the new movie ""Bringing Down The House"". Grace is from Court Tv's ""Heat Trail"", check local listings. Teen-teeth makeovers. Brody stars in the Oscar nominated movie ""The Pianist"". Lowe stars in the new movie ""A View From The Top"". The co-hosts go to Eathan Allen and offer their personal furniture selections for the new set. ""Out Of The Closet"" showcases fan family fashions. Plus, new medical procedures unveiled. Evening dresses for under $100. Ways to prevent being scammed out of your money. Lewinsky's new show is ""Mr. Personality""(FOX-Mon, 9pm). Stossel is regular on ABC's ""20/20""(Fri, 10pm). Riegel & Sosnovska star on ABC's ""All My Children""(Weekdays @ 1pm) and dicuss daytime's first lesbian kiss which airs on April 23, 2003! Plus, diet pills. Liotta stars in the new movie, ""Identity"", which opens this weekend. Shocking details in the ""Black Dahlia"" case in ""The View On Crime"". Plus, intern make-overs. Montgomery stars in CBS' ""WithOut A Trace""(Thu, 10pm)! Lewis stars in HBO's ""Curb Your Enthusiam""(Check local listings). Lucci and Willey star on ABC's ""All My Children"". Plus, Joy's fantasy wedding. Michael, Kirk and Cameron Douglas star in the new movie, ""It Runs In The Family"", which opens today. Leifer stops by ""Joy's Comedy Corner"". Spring fashions. Snow stars in the NBC drama ""Americian Dreams""(Sunday @ 8pm). What to expect during labor. Plus, hair color tips. Bernie Mac stars in FOX's ""Bernie Mac Show""(Wednesday's @ 9pm) and in the new movie ""Charlie Angel's 2"". Plus, Merideth's fantasy wedding. Banderas i starring on Bradway in ""Nine"". Paquin and Marsden star in ""X-Men 2"", out today. Check local listings for ""Judge Judy"". Plus, in ""Joy To THe World"", we trace the history of France. Kelly stars on CBS' ""Yes Dear""(Monday's @ 8""30pm). Phifer stars on NBC's ""ER""(Thursday's @ 10pm). Mother Days gifts. David James Elliott stars on CBS' ""J.A.G. ""(Tuesday's @ 8pm). Servicemen's wife makeovers. Room renovations. Sagal is star of ABC's ""8 Simple Rules...""(Tuesday's @ 8pm). Graham stars on the WB's ""Gilmore Girls""(Tuesday's @ 8pm). Plus, a sneek peek at the Daytime Emmy Award Gift Bags. Hershey stars on ABC's ""Port Charles""(Weekdays @ 12:30pm). Bell stars on CBS' ""J.A.G. ""(Tuesday's @ 8pm). Rudd and Weisz star in the new movie ""The Shape Of Things""! Zellweger stars in the new movie ""Down With Love"". Kaczmarek and Cranston star on FOX's ""Malcolm In The Middle(Sunday's @ 9pm). Plus, Star reveals her ""Destination:Scotland"" fantasy wedding, with cameos by her real life friends Tyson Beckford, Marva Hicks and Vanessa Bell Calloway! Shepherd stars in the new NBC movie ""Martha Inc:The Story Of Martha Stewart"", which airs tonight @ 9pm. Cantone has a rap up of this year's Daytime Emmy Awards in ""Joy's Comedy Corner""! Gilpen and Pierce star on NBC's ""Fraiser""(Tuesday's @ 9pm). Pierce also stars along with Paulson in the new movie ""Down With Love""! Banks is host of the new UPN show ""America's Next Top Model""(Tuesday's @ 9pm). Martin and Orbach star on NBC's ""Law and Order""(Wednesday's @ 10pm). Hoover is a reporter for Fox News. Green stars in the new movie ""The Italian Job"", which opens next week. Siegel takes a look at this summer's biggest movies. Catch Siegel on ABC's ""Good Morning America"". Preparing the perfect margaritas! Brooks, Bergen, Sloane, Reynolds and Douglas star in the new remake of ""The In-Laws"" which open today! Preparing low calorie desserts. Spencer stars in NBC's ""The West Wing""(Wednesday's @ 9pm). Van Der Beek is starring in the off-Broadway play ""Rain Dance"". Plus, purchasing a first car for teenagers. Krakowski stars in the Broadway play, ""Nine""! Stossell is the new co-anchor of ABC's ""20/20""(Friday @ 10pm). Grill recipes. Wahlberg stars in the new movie ""The Italian Job"". Gold stops by ""Joy's Comedy Corner"". Tanning without sunlight. Plus, th e hottest trends for summer. Advice on what to do if....?? Mitchell stars on The WB's ""7th Heaven""(Monday's @ 8pm). Valley stars on FOX's ""Keen Eddie""(Tuesday's @ 9pm). Catch Rivers on The E! Channel. Plus, sunbathing mistakes. Glover and Boatman star in the new Broadway show ""'Master Harold'...and The Boys"". Chamberlin's new book is ""Shattered Love"".